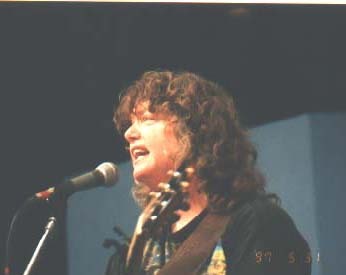 This fan-run electronic mailing list features information and conversation about the music of the fabulous singer/songwriter, Cheryl Wheeler. The sound of Cheryl's clear, melodic voice will take hold of you the first time you hear it, and the poignancy with which she writes about love, nature, the passage of time and the people she has known will draw you into her orbit. Cheryl's eight albums are a clear testament to her evolution as a writer, and will become cherished companions in happy and sad times. Loan a friend your copy of Sylvia Hotel or Driving Home and wait for the phone to ring. Your friend will want to know where to find the album. Perhaps you should keep a few spares around the house for such occasions. For all the pleasure you'll take in Cheryl's recordings, it is seeing her perform live that will make you a fan for life, and leave your heart full at the end of an evening spent in her company. 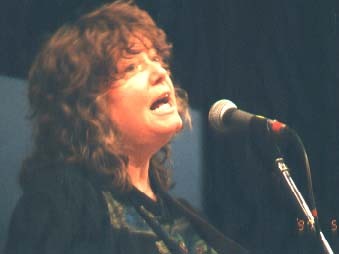 A Cheryl Wheeler concert is no staid hour of folk music, nor is it an unremitting trip into love's travails. You'll laugh at the stories and hilarious songs she mingles in amongst the beautiful or sad ones. And as you listen to both the sad and the silly, you'll find that Cheryl has worked her way into your heart. Finally, as if her words, her humor and her voice were not enough, Cheryl is also a prolific songwriter, who adds new compositions to her shows almost as soon as they are written. As a member of the Cheryl Wheeler Mailing List, you'll read news about Cheryl's recordings, concerts and other activities. Most of all the CW List is a discussion forum. Members share their impressions of Cheryl's songs, as well as concert and album reviews. If you have questions about the list, write to: shelly at brisbin dot net. 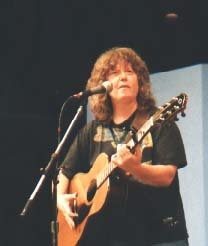 Visit The Cheryl Wheeler Web Page run by Bill Pringle. View Cheryl's concert schedule.